PIONEER Computers Australia have released the ‘Spy Watch’ - DreamVision Spy Watch DVR with built in camera and microphone for real time video and audio recording. The micro-Camcorder is a small high resolution, real time digital camcorder, easy to use and allows the user to discreetly record evidence instantly. This micro-DVR camera is a compact video/audio camcorder, which is small and light in weight. It can be used as a normal watch yet with better features. 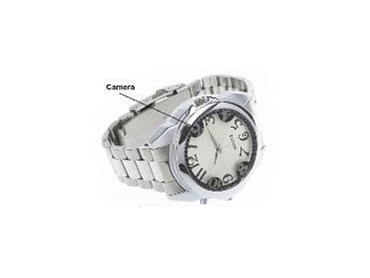 Serves as mini-camcorder, pin-hole camera, voice recorder as well as a real working watch. It is designed with 4GB USB memory with up to 5 hours of video recording. DreamVision Spy Watch DVR camera can also be used as spy gadget, fun gadget, novelty gift, a fascinating show-off to friends, for hobby enthusiast and Kids toy.